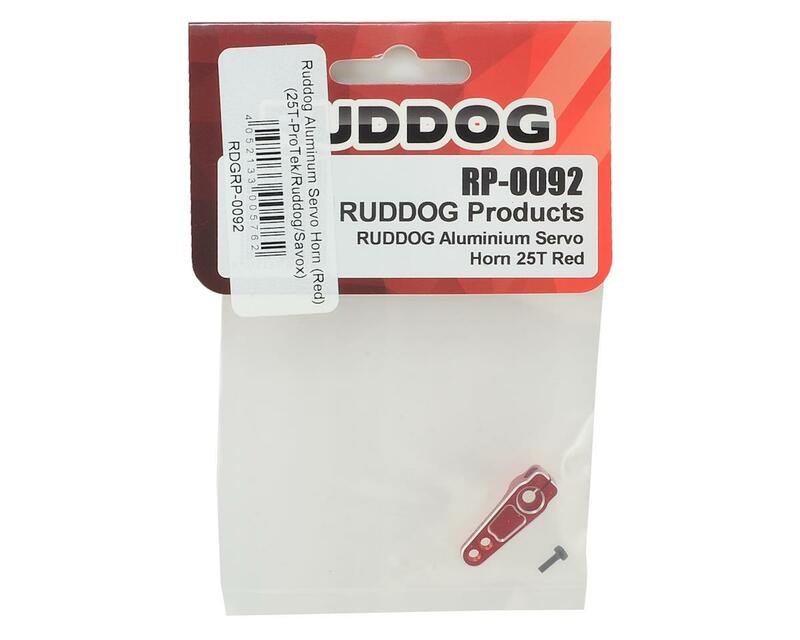 The Ruddog Aluminum Servo Horn is made from high-strength 7075-T6 aluminum alloy material and is strong enough to give you a precise steering feel and the durability for all day use. The servo arm also features an additional screw to clamp the horn onto the servo for maximum security. Big no no. Looks great but too week for 1/8 scale. Mine broke on a 1/8 scale only after 3 runs. Also the pinch bolt stripped right away. 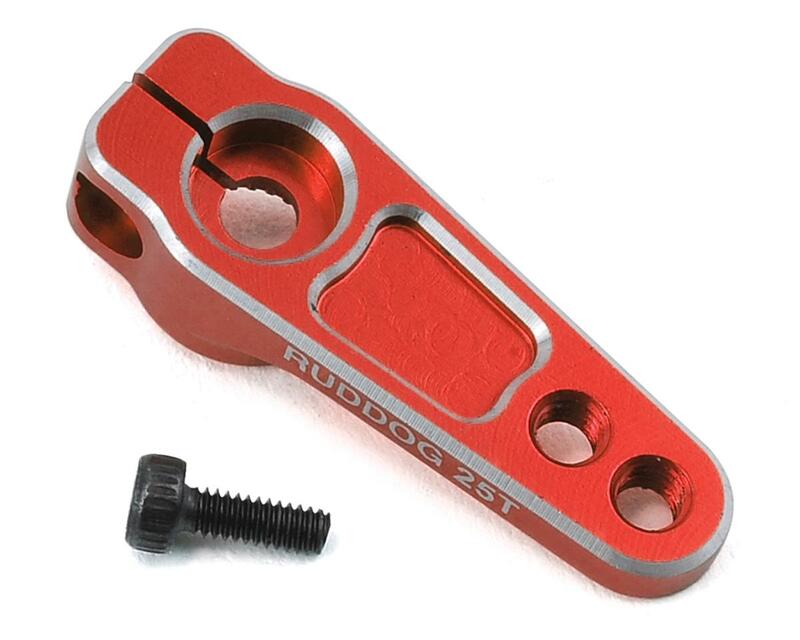 Received new updated servo horns from Ruddog in the mail today. Going to reinstall as well as provided stickers.